Providing innovative construction solutions to complex infrastructure projects across Canada for over 100 years. Dufferin Construction Company is a full service contractor and industry leader, with the people, expertise and financial strength to execute and deliver both large and small projects successfully. 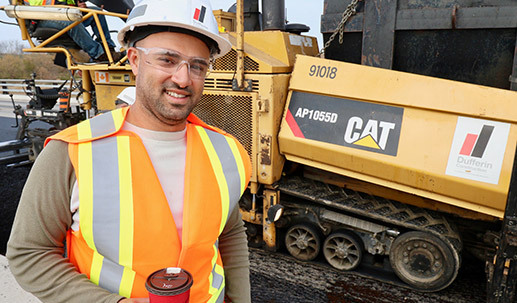 We have earned our reputation as one of the most experienced, innovative and quality-driven contractors in Canada, with over 100 years of service in the civil construction industry. As a sole destination service provider, we work closely with our customers from the early stages of design through to the ribbon-cutting of their new land development. We are an innovative industry leader who has built a strong reputation for quality and safety. We have played a significant role in building transportation infrastructure in Ontario since 1912 and our geographic reach now extends through Western Canada, making us a Canadian leader. The quality of our construction services is supported by efficient and innovative manufacturing operations which meet the highest standards of environmental protection. The Project consists of the replacement of the Highway 3 Grand River Bridge located just west of Cayuga, Ontario. The existing bridge is a five span steel truss with concrete deck, piers and abutments. Dufferin Construction not only provides a competitive compensation and benefits package, we also offer a wide range of added benefits making this a highly attractive place to work for our employees and those starting their careers. Dufferin Construction offers a wide range of job opportunities in the field or in the office, in Operations, Estimating, Health & Safety and Quality Control, as well as in Human Resources, Finance, or Procurement. 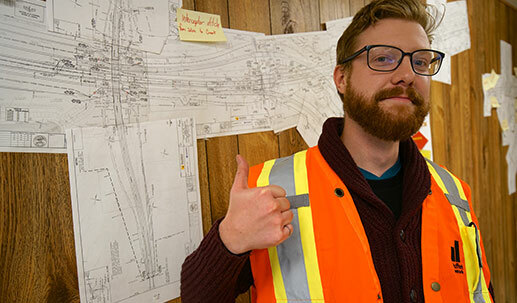 Dufferin Construction prides itself on building careers. Solid growth opportunities are available that provide progression from entry level to Senior Management positions. Dufferin Construction is always seeking to hire numerous students and new graduates for full-time positions in their respective study. Founded in 1912, Dufferin Construction Company has expanded to locations all over Ontario. Select a location or use the search below to find an Office or Concrete Paving and Asphalt Plant nearest to you. 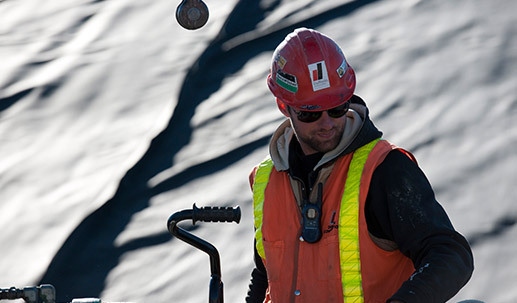 We are one of Ontario’s largest hot-mix asphalt producers and widely regarded as an industry leader in providing asphalt construction services to Southern Ontario. Through our network of seven strategically located asphalt batch plants we provide a wide range of quality-controlled asphalt mixes to meet your specifications.